All RANCH HIGHLANDS LOT 1-55 homes currently listed for sale in Scottsdale as of 04/23/2019 are shown below. You can change the search criteria at any time by pressing the 'Change Search' button below. "HOT NEW PRICE!!! Wow-Signature home by world famous Architect: most published/celebrated of his designs. Internationally known; unique plan, dramatic geometry and quality materials create inspiring spaces and superb natural light, saguaro-covered 5-acre view lot in gated Ranch Highlands. 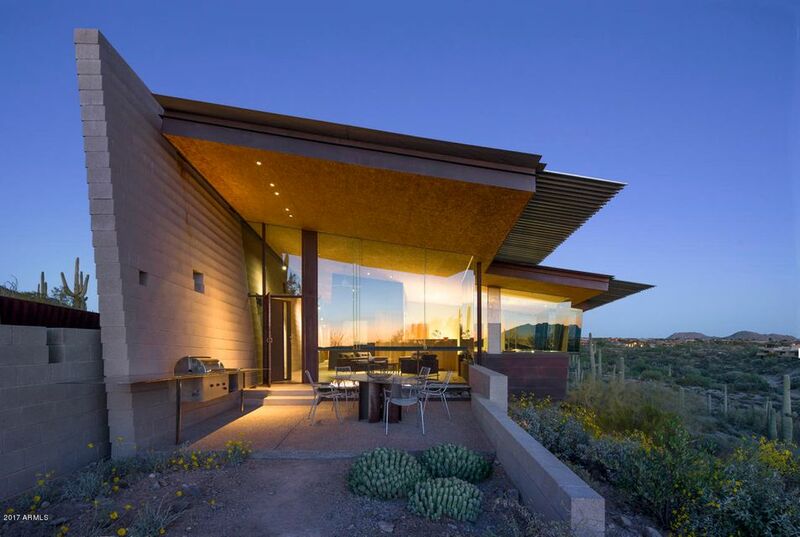 Award winning sandblasted masonry walls echo a natural canyon; a steel-roof floats above the space like a canopy, rich copper panels adds depth. Home has undergone a complete and total 4-year restoration in cons"